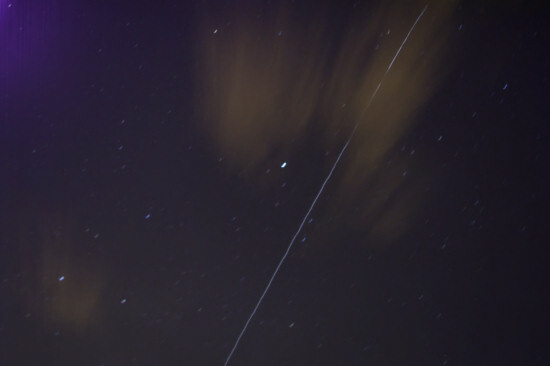 A late night post – my first try catching the International Space Station with the S5. Not perfect by a long shot, just a try… problem was, my tripod seems to wobble and pushing the camera to a 128 second exposure with CHDK is not really advisable because it causes some blue sensor noise in the top left. But the image is cleaner than the S2 with its maximum of 64 seconds ever was. I’m still experimenting, there’s another pass in an hour which I’ll also try to get if the weather holds up.